Hmm, I feel like something's missing. Exfoliation is the process of sloughing off dead skin to stimulate skin turnover and give way to youthful looking, smoother and softer skin. For somebody who is acne-prone like me, this is something that I make sure I do at least 3x a week. Well, that was before when I used to wear makeup everyday. Now that I'm just at home most of the time, I exfoliate 2x a week. A true skincare innovation. 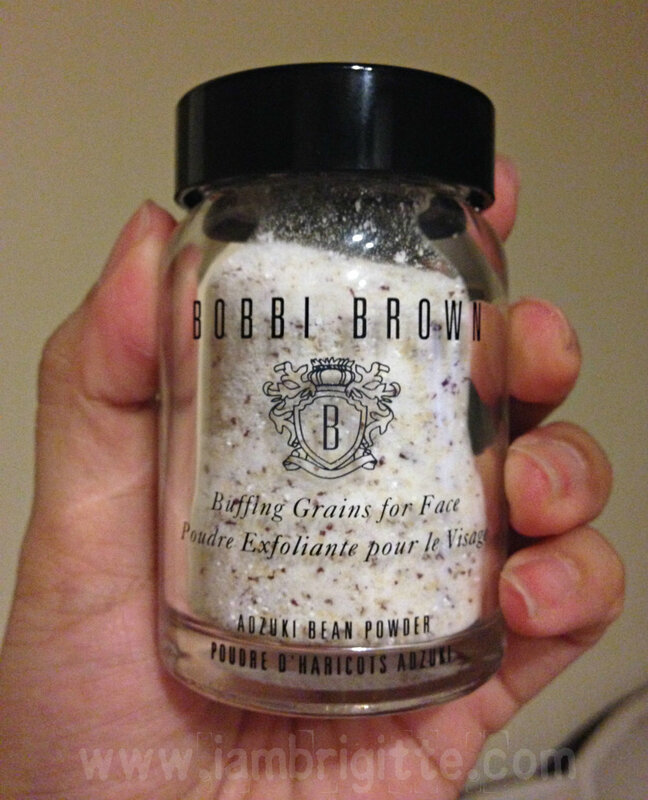 These luxurious grains can be mixed with any Bobbi Brown cleanser or water to create a fully customized, gentle exfoliator for the face. Comes in a glass bottle with pour top for easy use. I got this as a birthday gift from our friends in Bobbi Brown PH (Thanks, Jill!) but only started using this two months ago. I used to get a facial + diamond peel every month but never really gotten one since I left, so I have to do some DIY scrubbing. And wow, this product really works! 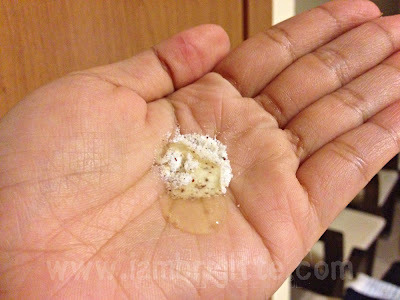 It comes in a glass bottle (not good for careless people like me) with a not so small hole, so you have to be really careful when pouring some product onto your hands. 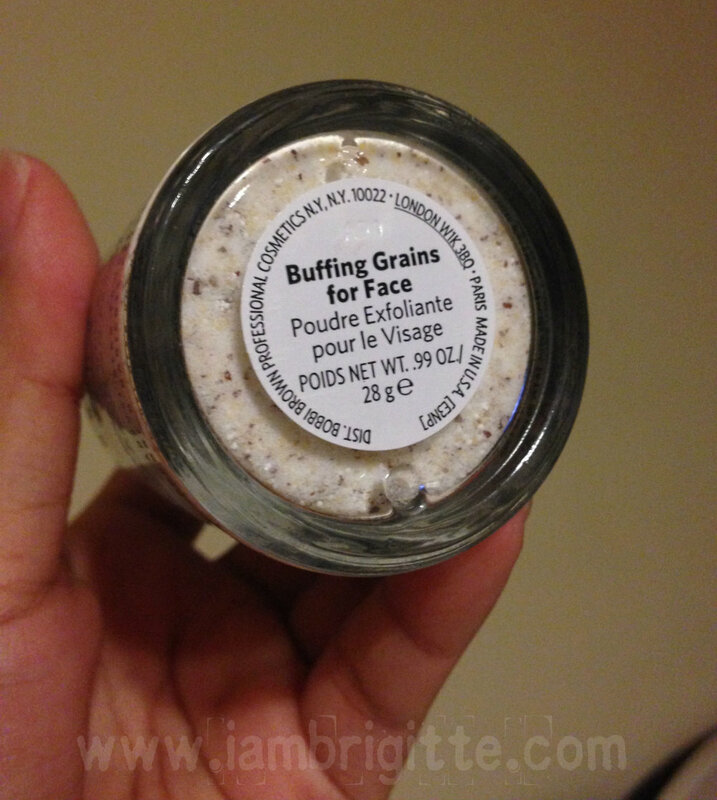 This baby has really fine grains, and is formulated with Japanese Adzuki Bean powder that won't sweep away your skin's natural moisture. To my surprise, my skin feels moisturized after each use! My skin usually feels dry after I exfoliate, but with this, it's not. 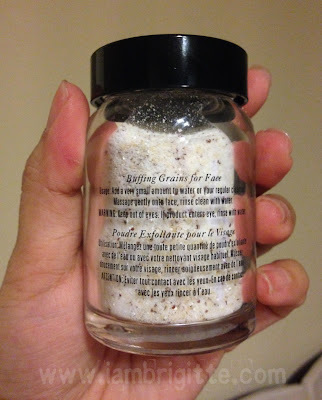 You can use it on its own, for some serious dry scrubbing OR with just plain water OR you can add your favorite facial wash for an instant customized facial scrub. Just like any other facial scrubs, go easy on using this most especially if you have sensitive skin. Don't scrub like there's no tomorrow! Do a gentle massaging in circular motions, concentrating more on areas that easily gets clogged like the nose. 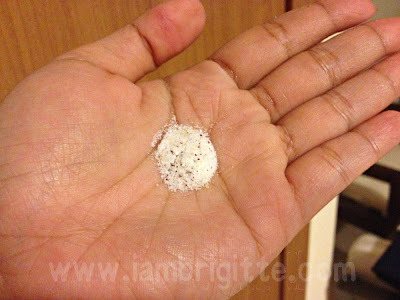 It makes my skin feels softer and smoother after each use. Can be used with your favorite facial wash.
You only need a little per use so I think this bottle would last for 8 or more months when used 2-3x a week. 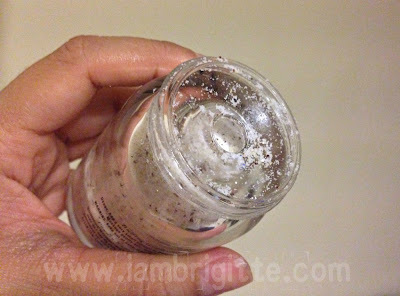 I've been using mine for two months and I think I'm not even close to having used 1/8 of it! No allergic reactions. 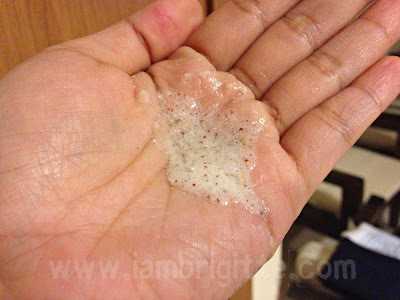 I've tried a scrub before and it gave me rashes right after using it. The packaging. I hate that it comes with a glass bottle. Well, that's just me...someone who just keeps on dropping stuff. I also wish it comes with a smaller hole. In my first few uses, I had to put back some grains because I poured too much. It's expensive. It costs around Php2700 for a 28g of product (not sure how much this is here in Dubai, though). But this baby works and you'll be able to use this for a long time, so that's fine...I guess. Let's see when it's time for me to purchase one, Haha! 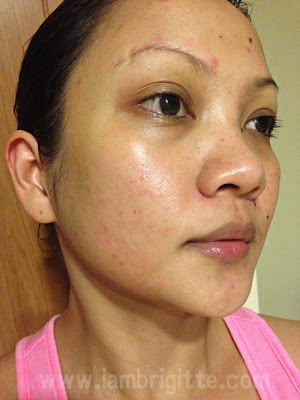 By the way, if you have active pimples, keep away from scrubbing as it will only make things worse. I used to be really full of pimples before and I would use a facial scrub every other day, thinking it might help. And of course, it didn't.